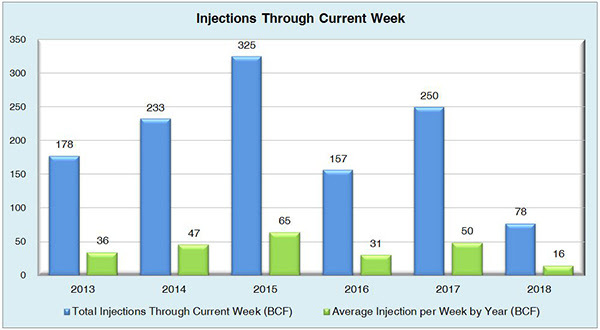 Week 5 of injection season saw an injection of 89 Bcf which was slightly below the expectation of 91 Bcf. This gave the market a slight bullish feel, and it made the futures increase in price. 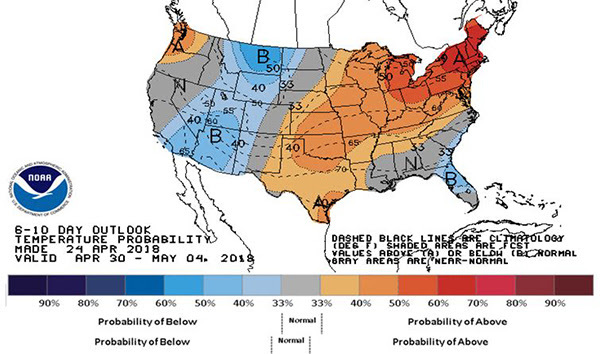 Some weather outlooks are projecting cooling demand in the upcoming weeks that can assist the bulls to get more momentum and hit above the $2.80- $2.82 mark. 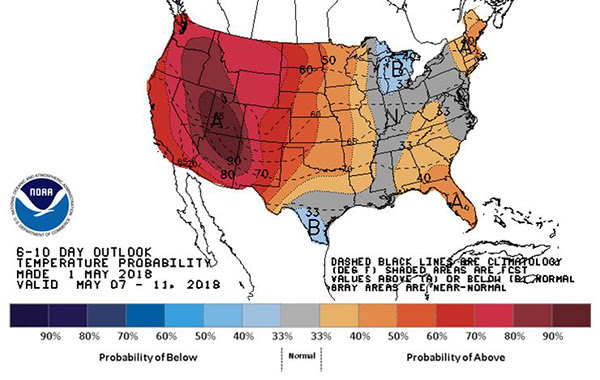 The cooling demand is going to come from the Southeastern part of the country where temperatures are expected to hit 90s, but it won’t be as widespread on other parts of the country until the end of May. 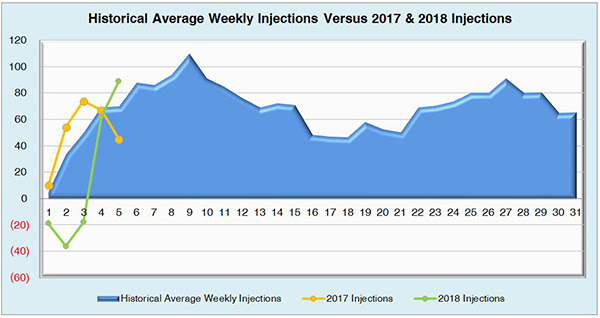 Last year’s injection stands at 49 Bcf and the five year average stands at 75 Bcf. The dissolution of the Iran nuclear deal had an impact on the crude oil of West Texas intermediate prices which went above $70/bbl for the first time since November 2015. Higher crude prices mean more associated gas and thus more gas added to the production records that we have at this time. 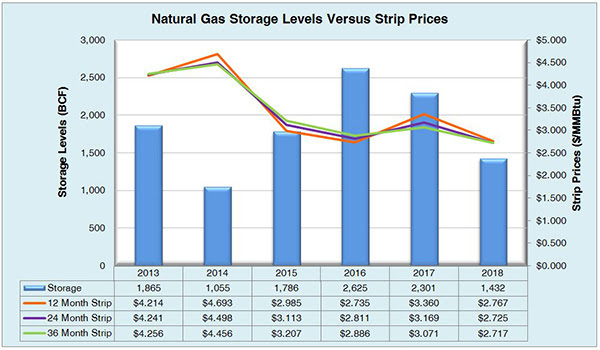 Current working natural gas inventories stands at 1,432Bcf. This figure is 863 Bcf (37.6%) less than this time last year and 520 Bcf (26.6%) below the five year average. The June 2018 NYMEX Futures price was $2.736/MMBtu prior to the report’s release and has since increased to $2.808/MMBtu.